Background and motivation. Teaching nanotechnology in general and especially nanobiosensor technology is not a matter of PhD courses only. Some basic / simple concepts can very easily through simple experiments be transmitted even to younger students such as those of the last two years of secondary school. Nanotechnology is sounding much more, year by year, to younger students and it’s our responsibility to transmit as much as we can part of our knowledge even to this generation of students. 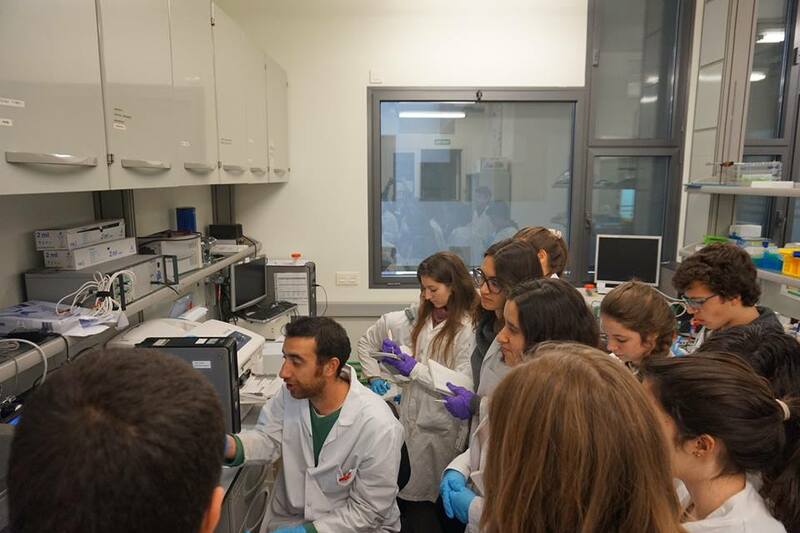 Merkoçi’s group members (PhD students and postdoctoral fellows) have been constantly engaged in education activities with secondary schools students of the Catalonia area. This participation is supported by Caixa as well as Catalonia government. 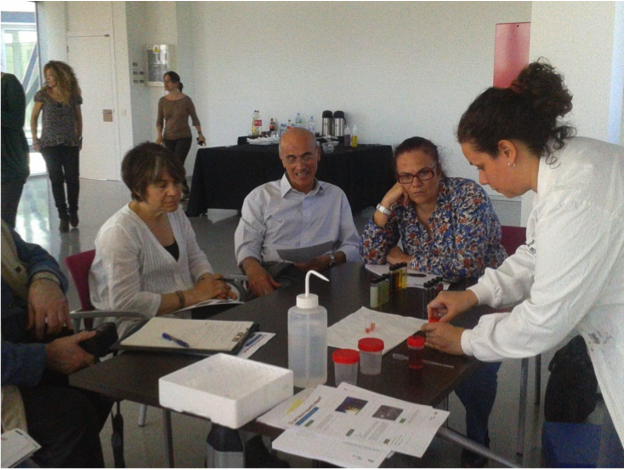 Lourdes Rivas, PhD student at Merkoçi Group teaching at workshop on Nanotechnology for secondary schools teachers of Barcelona (9th May, 2012). Luis Pires, PhD student at Merkoçi Group teaching at workshop “Bojos per la Física” at (9th of March,2016). Daniel Quesada, PhD student at Merkoçi Group teaching at workshop “Bojos per la Física” at 9th of March, 2016. 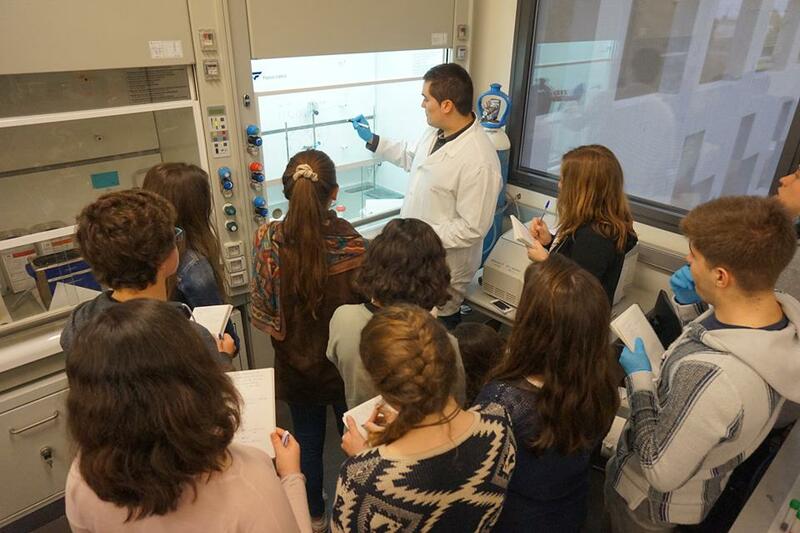 Daniel Quesada won the secondary school students divulgation contest “Somos Científicos: Sácanos de aquí!” (https://neon.somoscientificos.es/2017/11/gracias-vuestro-ganador-daniel/).